Welcome to another edition of #AskCesar! If you haven’t already checked out the video preview, you can watch it here. If you’ve already done that, let’s get this week’s (delayed) version underway! Chic and Earth, Wind & Fire are touring the US together. When are you going to see them? I wish I could go! Unfortunately, when the tour is somewhat close, it will be at the same time as Mexico’s Gold Cup match vs Curacao. Even though there’s a good chance that the show will be 10X more exciting than watching Mexico, the cheapest tickets are $99 to go see them soooooo maybe I’m not making that big of a mistake to watch El Tri. Red all day everyday. As for chilaquiles, it’s all about red as well. Not sure if I can be friends with someone who eats green chilaquiles. Why does it feel like Carlos vela always get the short end of the stick with Mexican team? Talking about his past problems with the national team is an article in itself, but recently, I do feel like he should have had more opportunities. On paper, he is Mexico’s most talented player. Maybe there’s something underlying there from his past when he didn’t want to play for El Tri. 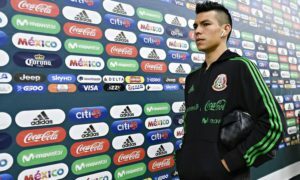 At the very least, his comments last month about his newfound maturity should be seen as a good sign for not only the player, but also Mexico. To me, he is one of the few players that should have a guaranteed starting role in the next World Cup. Could Gold Cup ever be as prestigious as a Copa America or Euros? Is every 4years the answer? I don’t think it can reach that level, at least with the current format. Every four years is definitely the answer here, but CONCACAF makes some serious $$$ off this competition. Over 53,000 people showed up to watch Mexico’s “B” team take on El Salvador here in San Diego. Why would they feel compelled to change it? I wish we could change it but too much money is being made on a tournament that many don’t take seriously. It seems as though Dueñas is one of those players that Osorio seems to like, and when he is looking to bring in a veteran name into the starting XI, it is unfortunately in the place of someone like Gutierrez. However, I think if Osorio really wanted to make it happen, he could include Dueñas and Gutierrez as the two attack-minded midfielders. do you think Elias Hernandez has shown enough to earn a spot on the WC roster? If Elias keeps up his form, I think it’s a decent possibility. He might not be a starter, but I could see him taking the backup role of someone like Jurgen Damm. Best coach to possibly replace JCO? Have you pre-ordered #FIFA18 yet? I didn’t even know that you could already pre-order! Working on that today. Edson is a versatile 19-year-old who has stepped up for Mexico in the Gold Cup. I’m genuinely looking forward to see how his career develops and would be interested to see if he could get minutes this month as a DM. Overall, I like his consistency and have always been pleasantly surprised by how well he plays for his age. 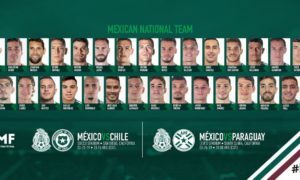 The problem is that Mexico takes part in so many tournaments that they have to send their “B” team sometimes. I’m not exaggerating when I believe that El Tri is the most busy national team in the world. This Gold Cup is the sixth summer tournament that Mexico has taken part in during the last three years. 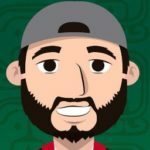 During the last nine years, El Tri has played in 14 summer tournaments. 14! How've you been doing lately? How's life? How's ?? Life is good but chaotic. Just trying to find time for myself, you know? It’s very easy for me to get lost in the soccer world 24/7. Especially with things like Twitter when you could constantly keep refreshing and finding more news and updates. As for my cat, DJ Cuddles, she’s excited about the upcoming Liga MX season. She is a fan of Tigres, Pumas and Leon. Who can be a starter from this Gold Cup team in the World Cup? Assuming they continue to develop their talents, I say either Orbelin Pineda or Erick Gutierrez have a decent chance. Looking at some of the older names, Jesus Dueñas and Jesus Molina also have a decent chance as well, but I’m not sure where their talents will be at one year from now. Name 2 RBs and 2 LBs you want on the MX team in the next World Cup. RB: (If healthy) Paul Aguilar, “Chapo” Sanchez. What is up with the youth signings to Europe from santos? There’s clearly something brewing with Santos Laguna and the club seems to be one of the more progressive institutions in Liga MX. 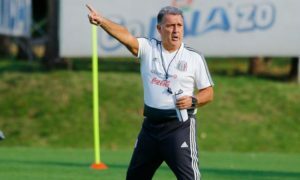 They are only one of two to embrace English-language content, the team gives opportunities to young Mexicans and the president has stressed the importance of youth development. They’re not at the same level as a club like Pachuca, but they are heading in that direction. 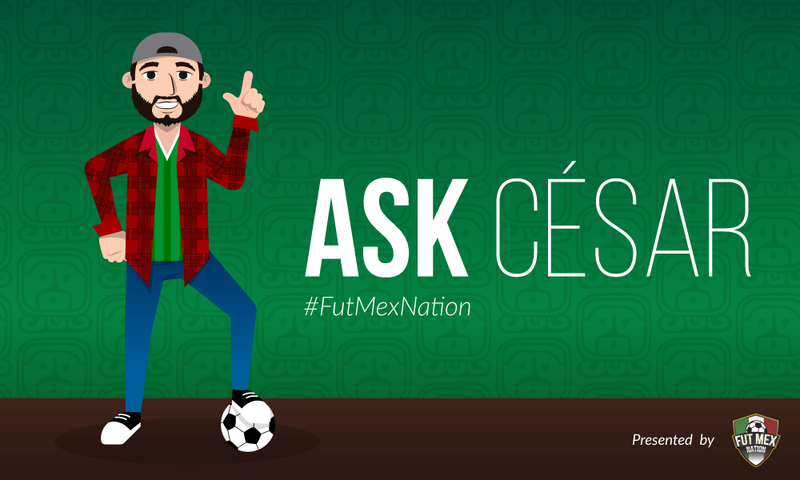 #AskCesar: Jonathan dos Santos, MLS and why are we looking back at 2013 oh god.